An engineering graduate who transplanted his love of ideas to the world of advertising, Godbole has been instrumental in building DigitasLBi in India. 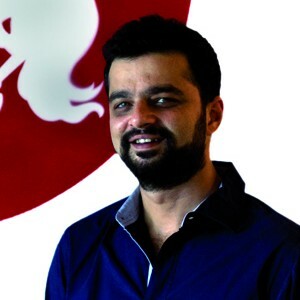 He is credited with setting the digital agenda for brands such as Johnson & Johnson, Budweiser, Tata Motors and Vespa. He oversees a staff of 300 across three cities. “I believe in the 3Ps leadership philosophy: purpose, passion and people,” Godbole says. “I believe in setting a purpose and goal for what we want to achieve for our brands, as well as for the agency. These goals may evolve with time. Winning major brands was a goal when we started, which turned into service excellence, and today we are trying to drive an innovation agenda.” He adds that he sternly discourages office politics in favour of “a pure merit based system” with “no limit on how fast you can grow”.